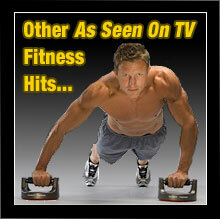 Livestrong Fitness Ellipticals are some of the highest quality elliptical exercise systems on the market today. Livestrong ellipticals are designed to efficiently exercise your upper and lower body while providing you with all of the benefits of a low-impact, joint-friendly workout. Livestrong ellipticals give you an efficient and complete cardio workout by using your body’s own motions. The result is that after an elliptical workout you feel energized and alert. Livestrong by Matrix E1XLS Elliptical is a commercial grade elliptical machine that offers numerous advanced features which make it a superior elliptical fitness solution. 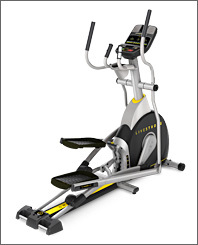 Livestrong LS8.0E Elliptical offers all of the important features you require for an efficient and effective elliptical workout while also being very budget-friendly. Why Livestrong Fitness? Every Livestrong Fitness purchase benefits Team Armstrong and the Livestrong Organization. Livestrong LS13.0E Elliptical offers a number of unique features including MaxTone arch pedals for exceptional muscle toning, 21 levels of power incline, workout tracking with the LIVETRACK Fitness Journal, and a heavy-duty flywheel for the smoothest elliptical experience. Enjoy listening to your favorite music on the built-in speakers which are compatible with iPods and other MP3 players. It also includes exclusive Lance Armstrong-endorsed training programs that will ensure you get the best possible workout. 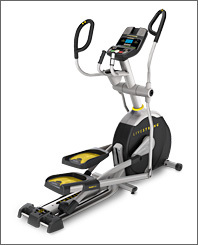 Compare Livestrong ellipticals to find the right model for you. Livestrong LS10.0E Elliptical comes with 20 power incline levels and exceptional engineering to get you into shape in no time. Like its big brother it also includes Livestrong-exclusive training programs which are endorsed by Lance Armstrong and designed to help you maximize your workout time and get into shape fast. 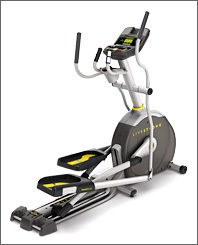 Livestrong LS8.0E Elliptical offers an exceptional value in the Livestrong elliptical family. 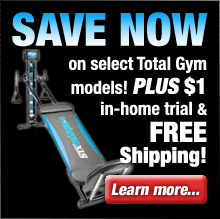 It offers all of the essential features you need to get into shape fast including multiple levels of incline, a long stride length, and numerous workout programs. It even includes a cooling fan to keep you comfortable while you work out! Another key feature of Livestrong ellipticals is that they all have a Q-Factor of 0". Q-Factor is the distance between the foot pedals. This is important because the lower the Q-Factor the more natural and efficient your movement is. This lessens the stress on your lower back and hips. Livestrong ellipticals achieve this perfect Q-Factor because due to their ingenious design their pedals perfectly overlap! 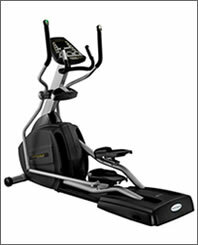 Livestrong Fitness ellipticals now come standard with the SIXSTAR Certified elliptical frame. This revolutionary frame design is based on advanced biomechanics research and extensive consumer testing. Every component from the grips to the pedals has been designed to ensure the most optimum body positioning and smoothest movement possible. The frame's groundbreaking engineering ensures that you receive the smoothest and most efficient elliptical workout possible. In addition all Livestrong elliptical models include built-in speakers with MP3 player and iPod compatibility so you can listen to your favorite music or audio books while you workout! You'll quickly notice the Livestrong Fitness difference the first time you work out on one of their top-quality ellipticals! What are you waiting for? Order one today and get ready to watch those pounds disappear!